As the team led by Mikhail Balezin and Andrey B. Evlyukhin from the Russian Monash University in St. Petersburg and the German Laser Center Hannover currently reported in the “Journal of Applied Physics” (DOI: 10.1063 / 1.5026556 ), they investigated the distribution of electromagnetic waves within the pyramid based on theoretical simulations and modeling of the structure and its properties. Even though we did not perceive it directly as such, our environment and also our buildings are constantly filled and flooded with electromagnetic radiation – for example in the form of light visible even to us, up to WLAN signals. And just from the WLAN signal is well known that it may be stronger in some regions of a building, but also weaker. In their study, the German-Russian physicists now examined how electromagnetic waves inside the pyramid would interact with it. Simulation of the distribution of electromagnetic fields in a simulation model of the Great Pyramid of Giza. 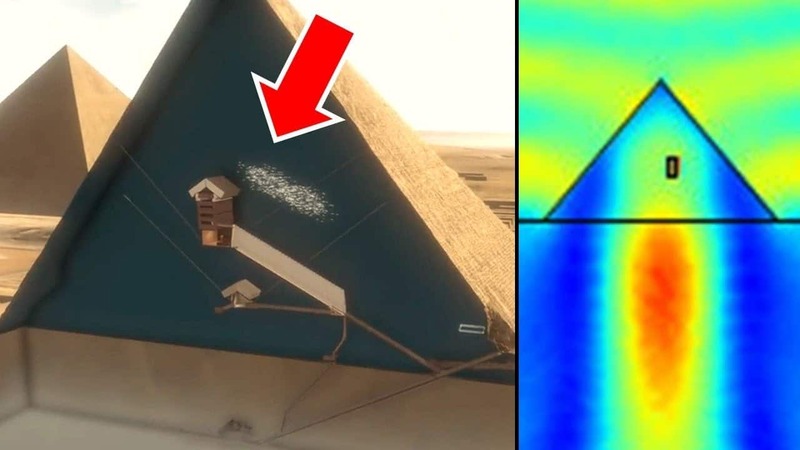 Based on the assumption that within the Great Pyramid there are no further unknown cavities filled with unexpected materials, the scientists created a model of the pyramid and its electromagnetic response. In this way, the researchers were then able to calculate how the wave energy within the pyramid behaves, for example scattered or absorbed by the structure. In fact, it was found that the scattered fields within the pyramid are concentrated in the (known) chambers as well as under the base of the structure (see Fig.). Simulation of the distribution of electromagnetic field quantities within the Great Pyramid of Giza with the inclusion of two further chambers: The Queen’s Chamber and the underground rock chamber. Whether the builders of the pyramid knew this property or perhaps even – whatever (the improvement of the Wi-Fi reception probably would not have been sense and purpose) – use and use targeted, the study can not answer. The authors themselves doubt it and see their discovery as an “amazing coincidence” and hope to derive new insights for future nanoparticle research.